This year the PTA has brought in a new company to run the PS10 Gladiators Team and Club, an after school program open to all kids at PS10! All kids who play the game and want to compete are encouraged to attend tournaments and compete for the PS10 Gladiators! The PS 10 Chess Club & Team is an after school program that meets every Wednesday to prepare for local city, state, and national competitions. 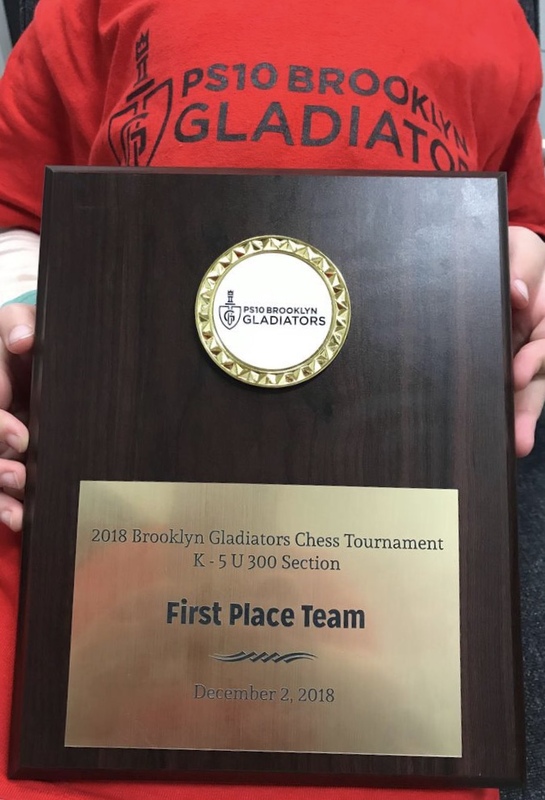 With beginner, advanced, and team groupings, the goal of the team is for all PS 10 players to experience the joy and social/educational benefits of learning and playing chess. The PTA is also funding chess instruction in the classroom by the same coaches who work with our club and team. Grades K through 3rd grade receive the in-classroom lessons for a semester of learning. In addition, PS10 will be hosting two tournaments this year! The Konstella Chess Committee is a forum for discussing chess programs after school and in classroom, as well as anything chess related! The committee assists the PS 10 Chess Club & Team in building the chess program at PS10, including in classroom teaching, hosting tournaments, and promoting chess at PTA events. Bringing chess into the classroom also gives every student the opportunity to envision what it might be like to join a chess team, to compete in real chess tournaments, and to see chess culture up close. Chess has been proven to improve focus, decision-making skill, patience, sportsmanship, problem-solving, both emotional and spatial, as well as offering the opportunity to sharpen mental skills while working closely with peers.